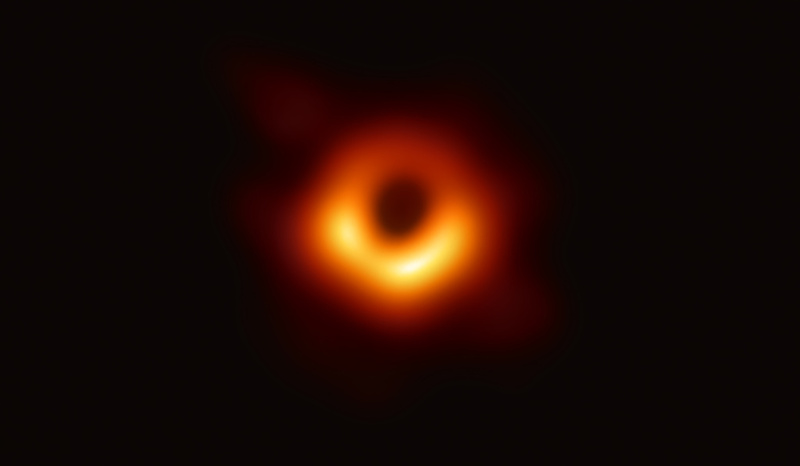 In this handout photo provided by the National Science Foundation, the Event Horizon Telescope captures a black hole at the center of galaxy M87, outlined by emission from hot gas swirling around it under the influence of strong gravity near its event horizon, in an image released on April 10, 2019. The Event Horizon Telescope collaboration, known as EHT, will present the first-ever photo of a black hole. The EHT had its first full run in April 2017, and the results will be shared in simultaneous press conferences around the world today. Scientists know that the surrounding matter around the black hole illuminates the hole’s “shadow,” which reveals the shape of spacetime. This is how black holes can be seen even though light can’t escape them. The first target is Sagittarius A, which is 26,000 light-years away. The second target is at the center of a galaxy known as M87. If you’re a fan of space, have you wondered about the appearance of a black hole? Do you have any questions about the technology in taking photos in space? Give us a call at 866-893-5722.